• Last week the Twins filled the 40-man roster by adding eight new players, but they've already created four openings. One came by trading Denard Span to the Nationals for a 22-year-old pitching prospect, Alex Meyer, who doesn't have to be added to the 40-man roster for several years, and the other three spots came by designating Deolis Guerra and Tommy Field for assignment and non-tendering Lester Oliveros. Guerra passed through waivers unclaimed and was sent outright to Rochester, meaning the Twins keep him at Triple-A without taking up a 40-man spot. Once upon a time Guerra was a top prospect and arguably the centerpiece of the haul for Johan Santana, but at this point they'd be happy if he developed into a middle reliever. Field was claimed off waivers from the Rockies last month and when the Twins put him back on waivers the Angels claimed him. 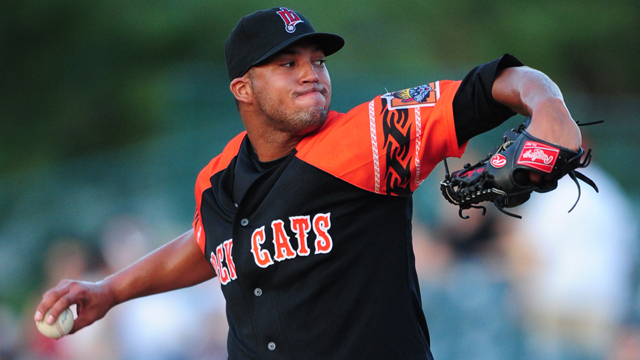 Oliveros was acquired from the Tigers in the Delmon Young trade and the hard-throwing right-hander showed some promise between Double-A and Triple-A this year, logging 48 innings with a 2.42 ERA and 51-to-15 strikeout-to-walk ratio. Unfortunately he underwent Tommy John elbow surgery in August and won't be at full strength until 2014, but after being non-tendered Oliveros opted to re-sign with the Twins on a minor-league deal. • As expected the Twins tendered contracts to all three arbitration-eligible players: Jared Burton, Brian Duensing, and Drew Butera. Non-tendering Butera and his .183 career batting average would have made sense, but the Twins have stuck with him for three seasons already. In other words, if they thought he was worth $450,000 then a raise to, say, $600,000 isn't going to sway their opinion. Obviously with Butera money isn't really the main issue. • Chad Allen, who played for the Twins from 1999-2001 after being their fourth-round pick in 1996, is the new hitting coach for Double-A New Britain at age 37. I'll always remember Allen hopping after a hit to the gap in Cleveland after tearing his ACL and somehow keeping speedster Kenny Lofton from an inside-the-park homer by getting the ball back into the infield before collapsing. He never played for the Twins again. • With the Twins set to pick No. 4 overall in June's draft Baseball America's early player rankings have Stanford right-hander Mark Appel in the top spot, followed by Indiana State left-hander Sean Manaea, Arkansas right-hander Ryan Stanek, North Carolina third baseman Colin Moran, and Florida right-hander Jonathan Crawford. They passed on Appel with the No. 2 pick this year and he went back to school rather than signing with the Pirates as the No. 8 pick. • Liam Hendriks underwent minor elbow surgery and won't pitch for Australia in the World Baseball Classic, but should be ready for spring training. • Old friend Pat Neshek, who spent most of this year at Triple-A before thriving for the A's down the stretch, has signed a one-year, $975,000 deal with Oakland to avoid arbitration. • Old friends Danny Valencia and Lew Ford might be teammates at Triple-A after the Orioles purchased Valencia from the Red Sox. Neither player is on the 40-man roster. • As expected, Terry Ryan indicated that Chris Parmelee will be given every opportunity to be the starting right fielder following the Span trade, with Ben Revere shifting to center field. • It turns out Span was born to play in Washington, D.C.
• Parker Hageman of Twins Daily analyzed Meyer's pitching mechanics, which are especially important for someone 6-foot-9. • I'd bet on the Twins signing at least one of the five starting pitchers on this list. • Target Field was supposed to solve a lot of the Twins' payroll issues, but things haven't gone as planned and the growing local television revenue chasm doesn't bode well for the future. • For a lengthy discussion of the Span-for-Meyer trade, plus talk about prospects in general and the Twins' next offseason steps, check out this week's "Gleeman and The Geek" episode. 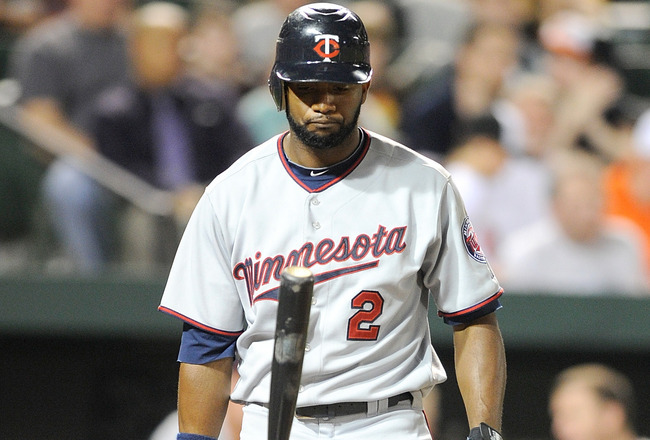 Reports of the Nationals trying to get Denard Span from the Twins started in mid-2011. Back then the rumored deal involved one of Washington's late-inning relievers, either Drew Storen or Tyler Clippard, coming to Minnesota. When it ultimately never happened speculation about the reasons why included Span's post-concussion health status and the Twins' request for a mid-level prospect also being part of their haul. 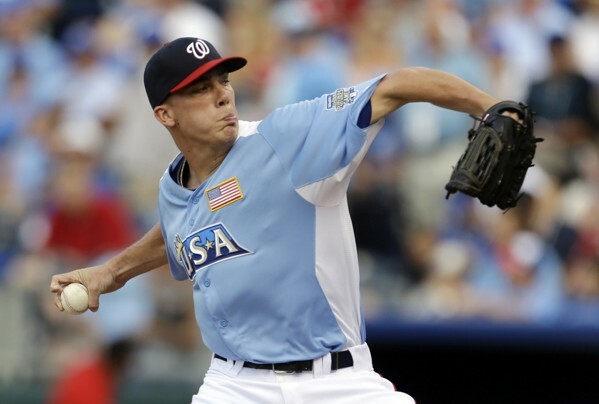 Seventeen months later the two sides agreed to a trade that sends Span to Washington in exchange for 22-year-old prospect Alex Meyer, a 6-foot-9 right-hander the Nationals picked out of the University of Kentucky in the first round of the 2011 draft right around the time rumors of their interest in Span began swirling. Meyer was the 23rd overall pick, seven spots ahead of where the Twins selected University of North Carolina infielder Levi Michael. Meyer signed for $2 million and made his pro debut this year at low Single-A, moving up to high Single-A in the second half. Overall between the two levels he threw 129 innings with a 2.86 ERA and 139-to-45 strikeout-to-walk ratio, holding opponents to a .211 batting average and just six homers while inducing 52 percent ground balls. Debuting with such strong numbers is particularly encouraging because Meyer's raw stuff has never been in question. Meyer works in the mid-90s with his fastball, topping out close to triple-digits, and Baseball America's season review of the South Atlantic League's top prospects praised his "wipeout slider in the mid-80s" and noted that his changeup "could become an average third pitch." Most prospect lists aren't published yet, but Baseball America staffers I talked to are confident he'll be in their top 75 and the one prominent list that's out, MLB.com, rated him No. 50 overall. Keith Law of ESPN describes Meyer as a "potential frontline starter," writing that "his slider is filthy, a bona fide out pitch" and "his changeup has improved to the point where it's probably a future-average pitch." Law's annual prospect list isn't out yet, but he was kind enough to give me a sneak peak and said Meyer figures to be in the 50-75 range. Law also told me Meyer is in the class of the college arms the Twins passed on with the No. 2 pick to take Byron Buxton. Ideally if the Twins were trading Span for pitching help it would have been for an established big leaguer or at least an MLB-ready prospect, but they were never going to get someone like James Shields for Span without including significantly more value in the deal and MLB-ready pitching prospects with big-time upside are rarely available in trades for non-stars. To acquire a pitcher with top-of-the-rotation upside for Span you likely also have to acquire uncertainty. Meyer is a huge, hard-throwing pitcher 18 months removed from being a consensus top-20 player in a very deep draft class and performed well in his debut, striking out 139 batters in 129 innings with better than anticipated control. Simply by virtue of being a 22-year-old pitching prospect he's nowhere near a sure thing, but if the Twins' plan was to turn Span into high-upside young pitching they accomplished that about as well as could be expected. Whether that plan was the right one is another issue, of course. Once upon a time Span was a first-round pick himself, going 20th overall in 2002 out of high school. As he climbed the minor-league ladder his upside began to deteriorate and after hitting .267/.323/.355 at Triple-A in 2007 he looked more likely to be a fourth outfielder than a quality regular. That all changed the next season, as Span hit .340 at Triple-A before a fantastic rookie showing with the Twins. He hit .294/.387/.432 in 93 games as a rookie and followed that up by hitting .311/.392/.415 in 145 games in 2009. His production dropped off in 2010, as Span hit .264/.331/.348 in 153 games, and his strong start in 2011 was ruined by a concussion that sidelined him for most of four months and left him extremely ineffective when he tried to play. Span entered this year as a huge question mark, but responded with a productive, mostly healthy season. In all Span hit .284 with a .357 on-base percentage and .389 slugging percentage in 589 games for the Twins, emerging as a prototypical leadoff man with patience, strike zone control, and speed. Among all center fielders with at least 1,500 plate appearances from 2008-2012 only Andrew McCutchen, Josh Hamilton, and Dexter Fowler had a higher on-base percentage than Span and his defensive numbers were consistently well above average. Span is far from perfect--he lacks power and arm strength, and misleadingly good stolen base totals hide that he's regularly among the MLB leaders in being picked off--but players at up-the-middle positions with .357 on-base percentages and above-average defense are very difficult to find. And, as was usually the case with Span, those players tend to be underrated by people focusing on offense over defense and production without positional context. He's also 28 years old and under team control for three more seasons at a total cost of $20 million, so in addition to being one of the better all-around center fielders he's one of the biggest bargains. Of course, that's all part of what made Span one of the Twins' few desirable trade pieces and perhaps their most desirable. He's the type of player teams build around, but unfortunately in the Twins' situation he's also the type of player needed to facilitate a rebuild. Outfield depth throughout the organization made it easier to trade Span, as the Twins have Ben Revere ready to step in as the everyday center fielder, Chris Parmelee ready for a shot somewhere, and prospects like Aaron Hicks, Oswaldo Arcia, Joe Benson, and Eddie Rosario waiting in the wings. There's reason to be skeptical of Revere's bat and Parmelee's glove, but the Twins dealt from an area of strength to address a massive weakness. I'd much rather have traded Justin Morneau or Josh Willingham or even Revere, but none of those players would have been in as much demand as Span and if the Twins' goal was to swap him for a young, high-upside starting pitcher they accomplished it. Meyer immediately becomes the Twins' top pitching prospect, which admittedly isn't saying much, but he's also one of the 30 or so best pitching prospects in baseball. A lot can go wrong here if Revere fails to develop better on-base skills and/or Meyer fails to develop, period. And the only reason trading Span makes any sense to begin with is that the Twins are so lacking in pitching talent and so shaky in general coming off 195 losses in two seasons, but there's no magic wand that can be waved to make those problems vanish. They dug themselves this hole and Span-for-Meyer is a reasonable step on their climb out of it. @mdidrikson: What is the best baseball book you've read? Without question "Ball Four" by Jim Bouton. I've read it at least five times and it never ceases being amazing. For him to write something that great in 1970 is crazy. Meeting him at the SABR convention in Seattle a few years ago was a big thrill. 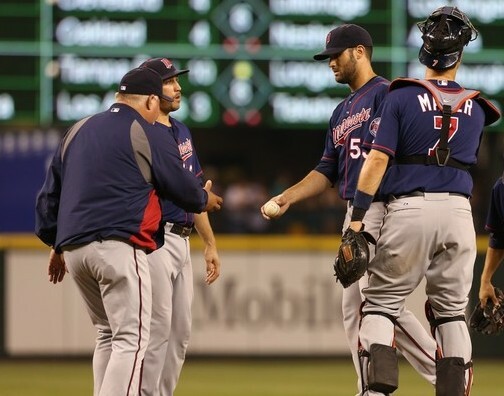 @caniwarrior: How did Rick Anderson survive the coaching purge? Rick Anderson became pitching coach when Ron Gardenhire replaced Tom Kelly as manager in 2002, so the combination of a decade on the job and Gardenhire's support is a pretty strong one. My assumption is that Gardenhire fought to keep Anderson around, perhaps at the expense of multiple other coaches, but that's just speculation. Obviously the Twins' pitching has been in decline for a while now and Anderson is presumably on the hottest of hot seats. @ZBurmeister: What are your favorite podcasts I probably haven't heard of? And of course "Gleeman and The Geek." Once the playoffs are over and my work schedule settles down a bit I think I'll write up a guide to all the podcasts I like, because it's something people ask about a lot and as someone who loves the medium spreading the word would be nice. @jacoblaxen: What is Terry Ryan's first move this offseason? It's always hard to predict the timing of moves, but based on Terry Ryan's repeated comments about upgrading the rotation and not liking the free agent market my guess would be some sort of trade for a starting pitcher. Reading between the lines, it sure seems like he has a trade or two on the table that he feels reasonably comfortable with. @skrypzUSN: Who would you rather see traded for starting pitching, Denard Span or Ben Revere? It all depends on what type of returns they would fetch. Denard Span is a better player than Ben Revere right now and generally seems underrated by Twins fans, but he's also older, much more expensive, and much closer to free agency. If they both had identical trade value I'd probably lean toward trading Revere and sticking with Span, but they don't. Span should be able to command a lot more in return. @commnman: Are there any bargain free agent starting pitchers you'd be comfortable with the Twins targeting this offseason? Quite a few, actually. This is a pretty deep crop of free agent starters, at least relative to other offseasons. There aren't many elite, top-of-the-rotation options, but the Twins wouldn't be in the mix for them anyway and there are plenty of mid-rotation types available. As soon as the playoffs end I'll have an article breaking down all the options, but for now some names to ponder: Joe Blanton, Hisashi Iwakuma, Ervin Santana, Gavin Floyd, Brandon McCarthy. @dbrugg999: Twins talk is about how they need starting pitching, but what other position is crucial that they upgrade? Middle infield, but that's been true for essentially the past decade. Right now Pedro Florimon is probably the favorite to start at shortstop in 2013, which says a lot about a lot. @jackthumser: How closely do you follow other sports? Pretty closely. I've always been a big basketball and football fan, and for several years I wrote about the NFL for Rotoworld. I know absolutely nothing about hockey and don't have a ton of interest in other sports except for mixed martial arts and, if you consider it a sport, poker. @mattusaurus: Who has the best pitch in baseball? Mariano Rivera's cutter was the correct answer to this question for 15 years, but since he missed the entire season I suppose we need a new one. Fan Graphs assigns run values to pitches and based largely off those my picks would be Craig Kimbrel's fastball, Fernando Rodney's changeup, Clayton Kershaw's curveball, Yu Darvish's slider, and R.A. Dickey's knuckleball. And along the same lines as Rivera's cutter, I guess Dickey's knuckler is the best. @salmensays: Do right-handed hitters or left-handed hitters get more infield hits? I'm guessing most people would assume left-handed hitters get more infield hits, by virtue of being a couple steps closer to first base. However, studies have shown that right-handed hitters actually get more infield hits because they hit more ground balls to third base and shortstop, which require longer throws than ground balls hit to second base and first base. @ZnelND: Who's the best Twins prospect no one has heard of? I'd say probably Jorge Polanco. He was overshadowed by Miguel Sano and Max Kepler when he signed for $750,000 as a 16-year-old out of the Dominican Republic in 2009 and then got off to a slow start as a professional, but Polanco had a great half-season at rookie-ball. He's years from potentially entering the Twins' plans, but as a shortstop with a good bat Polanco is one of their highest-upside prospects. @jimcamery: Do prominent ex-players make better coaches than scrubs? Is there any real data? That question was about Paul Molitor being turned down for a job on the Twins' revamped staff. Many fans assume that great players like Molitor would make great coaches, but there isn't much evidence to support that. Very few Hall of Fame-level players go on to become great coaches or managers and many of the best coaches and managers were marginal players. Molitor, for instance, was fired by the Mariners after one season as hitting coach in 2004. @MeatSauce1: Bring Alex Rodriguez to the Twins? 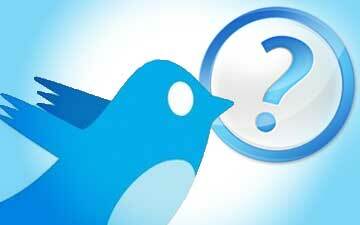 That question comes from the world renowned Meat Sauce of KFAN fame, so of course I have to answer it. There's zero chance of the Twins trading for Alex Rodriguez, but it'll be interesting to see if the Yankees try to trade him, period. He's owed $114 million for the next five seasons and I'm guessing they'd have to eat at least $75 million to unload him. Also worth noting: Rodriguez hit .272/.353/.430 this season. Justin Morneau hit .267/.333/.440. @mdidrikson: What's the best team in the past 25 years to not win the World Series? There are a lot of them, because the nature of baseball means being the best team during a 162-game season and winning the World Series are often very different things. I'd probably go with the 2001 Mariners, who set the modern record with 116 wins and lost in the ALCS. Any good baseball team can beat any other good baseball team three times in five games or four times in seven games, which simultaneously makes the playoffs great and maddening. @ScandiAngel: What's a reasonable expectation for Kyle Gibson in 2013? Will the Twins treat him like Stephen Strasburg? I'm sure Kyle Gibson will be on a workload limit in 2013. In terms of what to expect, he's off to an impressive start in the Arizona Fall League and reportedly throwing harder now than he did before Tommy John surgery. He'll compete for a rotation spot in spring training before most likely heading to Triple-A. Expectations should be held in check because Gibson wasn't an elite prospect before the injury, but if things go well he could join the Twins' rotation midseason. @jimcamery: Was Prince Fielder worth the money? Prince Fielder hit .313/.412/.528 with 30 homers in 162 games, so he certainly earned his $23 million salary this season. That was always pretty likely, though, because he's 28 years old with a great track record. He's still owed another $191 million for the next eight seasons and the odds of the second half of that deal looking good for the Tigers seems iffy at best. Then again, I'm more or less against handing out massive long-term contracts to any player. @SpitThatHotFire: Where do you see Josh Hamilton ending up next year? Josh Hamilton is one of the most interesting free agents ever. Based solely on his track record at age 31 he'd be in line for well over $100 million, but because of his off-field (and on-field) issues it wouldn't surprise me if he signed for less than $100 million. As for where ... I have no idea. It sure seems like the Rangers don't want him back unless it's cheap and most of the usual free-spenders seem unlikely to go nuts for him. "Not the Twins" is the best I can do. @wombat_socho: Is there any cure for Ron Gardenhire's addiction to scrappy/useless infielders? Well, the most obvious cure is for the front office to stop providing him with such players, but then that brings up the question of who has the addiction in the first place. @commnman: How are Twins fans supposed to decide between rooting for Delmon Young and rooting for the Yankees? We actually discussed this at some length on this week's "Gleeman and The Geek" episode and ultimately concluded that rooting for the Tigers made sense under these circumstances. This week's blog content is sponsored by Audible, which is offering a free audiobook download for AG.com readers and "Gleeman and The Geek" listeners at AudiblePodcast.com/Gleeman. • As of September 1 rosters can expand from 25 to as many as 40 players, but the Twins waited until September 4 to do so and then called up just two players: Eduardo Escobar and Luis Perdomo. Escobar is a light-hitting 23-year-old middle infielder who was acquired from the White Sox in the Francisco Liriano trade and hit just .217/.259/.304 with a 26-to-8 strikeout-to-walk ratio in 35 games at Triple-A following the deal. Perdomo is a 28-year-old journeyman reliever who was signed as a minor-league free agent back in November and began this season at Double-A before moving up to Triple-A. Between the two levels he threw 73 innings with a 2.60 ERA and 68-to-22 strikeout-to-walk ratio, and Perdomo also got a five-game stint with the Twins earlier this season in which he walked seven in six innings. He throws hard, but has iffy control and a 4.07 career ERA at Triple-A. • Apparently those are the only planned additions for the entire month, which means players on the 40-man roster not getting call-ups include Brian Dozier, Deolis Guerra, Jeff Manship, Pedro Hernandez, and Oswaldo Arcia. Dozier's lack of a call-up is the most surprising, because when the Twins demoted him to Triple-A last month the assumption was that he'd definitely be back once rosters expanded. Instead he was a mess in Rochester, hitting just .171 with a 16/3 K/BB ratio in 20 games to continue the troubling lack of strike-zone control he showed in the majors. Combined between Triple-A and the majors Dozier hit .233 with a .276 on-base percentage and .334 slugging percentage while striking out 92 times compared to 30 walks. Plenty of prospects bounce back from a terrible season, but the difference with Dozier is that he's already 25 years old. • And then there's Anthony Slama, who as usual posted amazing numbers at Triple-A and as usual is ignored by the Twins. Slama finished his fourth consecutive season in Rochester with a 1.24 ERA, .195 opponents' average, and 56 strikeouts in 36 innings, giving him a lifetime 2.27 ERA and 191 strikeouts in 154 innings at Triple-A. Slama is 28 years old, so whatever career he was capable of having has been wasted because the Twins wouldn't give him a chance. For his minor-league career Slama has a 1.99 ERA and 12.4 strikeouts per nine innings, racking up more than twice as many strikeouts (446) as hits allowed (213) in 325 innings. Maybe he would have struggled against big-league hitters, but the Twins will never know because they repeatedly left Slama in the minors to rot. This year that involved giving Jeff Gray five months and 50 innings to show that his lengthy track record of mediocrity wasn't a fluke. • Denard Span was finally placed on the disabled list after staying on the Twins' active roster for 18 days with a shoulder injury that allowed him to play just four games during that time. Rather than another rant about the Twins' medical staff I'll focus on the fact that Span's injury opens the door for Chris Parmelee to get an extended opportunity down the stretch after mostly sitting on the bench for a month last time he was in the majors. Parmelee certainly deserves a chance after hitting .338/.457/.645 with 17 homers, 17 doubles, and a 52-to-51 strikeout-to-walk ratio in 64 games at Triple-A, but as I wrote three weeks ago without a trade or an injury there wasn't anywhere for him to play. It's interesting that the Twins are using Parmelee in right field because he figures to be below average there and played zero innings in the outfield for Rochester. • This year's Arizona Fall League participants are out and the Twins are sending Kyle Gibson, Michael Tonkin, Logan Darnell, Caleb Thielbar, Chris Herrmann, Nate Roberts, and Evan Bigley. Going to the AFL is a way for Gibson to get some work in after missing most of the season following last year's Tommy John surgery and a strong performance there could give him at least some chance to compete for a spot in the Twins' rotation next spring. Gibson, Herrmann, and Roberts each cracked my list of the Twins' top 40 prospects heading into the season and Tonkin will definitely be on the 2013 list after breaking out between two levels of Single-A. This will be Herrmann's second trip to the AFL, as he was part of the Twins' contingent there last year along with Dozier, Aaron Hicks, Cole DeVries, Scott Diamond, Dakota Watts, Brett Jacobson, and Bruce Pugh. • Lester Oliveros pitched well enough in the minors this season to emerge as a bullpen option for 2013, but now the hard-throwing right-hander will likely miss all of next year after Tommy John elbow surgery. Acquired from the Tigers in last season's Delmon Young trade, Oliveros threw 48 innings with a 2.42 ERA and 51-to-15 strikeout-to-walk ratio between Double-A and Triple-A at age 24 and has (or at least had) a legitimate mid-90s fastball. • As the Twins appear headed for another top-five draft pick it's worth noting that the 2013 draft class, much like the 2012 draft class, is viewed as lacking elite-level talent. Keith Law's early ESPN rankings include Mark Appel in the top spot after the Stanford right-hander fell to No. 8 and turned down $3.8 million to go back to school, followed by Arkansas right-hander Ryne Stanek, Stanford outfielder Austin Wilson, and Indiana State left-hander Sean Manaea. • After bludgeoning the White Sox for 18 runs Tuesday night the Twins rank fourth among all MLB teams in games with double-digit runs scored this season, yet they rank just 13th in overall runs per game. When the Twins score double-digit runs they're 13-0. In all other games they're 43-81 while averaging 3.6 runs per game. • Jamey Carroll snapped the majors' longest homerless streak Monday, going deep off White Sox starter Hector Santiago for his first home run in 1,540 plate appearances dating back to August 9, 2009. In between Carroll long balls Jose Bautista led the majors with 134 homers, seven players homered at least 100 times, and 93 players homered at least 50 times. • Parker Hageman of Twins Daily used video and numbers to examine Joe Mauer's struggles throwing out runners this season. • Ben Revere is now hitting .300 with a .690 OPS, which would make him the first player since Lenny Randle in 1974 to hit .300 or higher with an OPS below .700. Aside from Revere and Randle no other .300 hitter has posted a sub-.700 OPS since 1943. • In the comments section of my post last week about Darin Mastroianni's future several people wondered if he could be an option at second base after seeing some time there in the minors, but Ron Gardenhire has already shot that idea down pretty thoroughly. 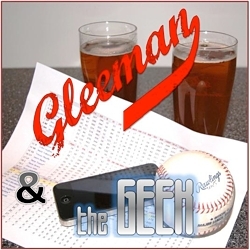 • For a lot more about September call-ups, Dozier, Slama, and the Twins' medical staff check out this week's episode of Gleeman and The Geek (which is back to being fueled by beer). Interested in sponsoring a week of AG.com? Click here for details. • Nick Blackburn's latest start came against the AL's lowest-scoring lineup in one of MLB's most pitcher-friendly ballparks, yet he still allowed five runs in five innings and served up two homers among 11 total hits. Among all MLB pitchers to start more than 15 games this season Blackburn ranks dead last with a 7.39 ERA (no one else is worse than 6.36) and a .340 opponents' batting average (no one else is worse than .316). And as Twins fans know all too well, Blackburn's extreme struggles date back much further. Since the beginning of 2010 he's now started 71 games and thrown 408 innings with a 5.56 ERA while opponents have hit .313/.359/.507 off him. To put that in some context: Justin Morneau is a career .281/.351/.497 hitter. So for the past three seasons and 408 innings Blackburn has essentially turned every batter he's faced into a better version of Morneau. Quite simply: Blackburn has been the worst pitcher in baseball for the past three seasons and it's not particularly close. If not for the Twins giving him a misguided and totally unnecessary contract extension in March of 2010 he'd have been cut a long time ago, but instead they're paying him $4.75 million this season and owe him another $5.5 million in 2013. They also hold an $8 million team option on Blackburn for 2014, which would be funny if it weren't so sad. He's going to be one of our pitchers. He'll be one of our pitchers again next year, and we need good outings from him. He's the veteran of this staff now. Hopefully we'll let him finish out here and he'll get on a bit of a roll and get some wins underneath his belt and get him more confidence. Gardenhire's stance apparently wasn't shared by the front office, because yesterday Blackburn was sent outright to Triple-A. That means he was removed from the 40-man roster and passed through waivers unclaimed, as predictably none of the other 29 teams wanted anything to do with his contract. Blackburn remains in the organization and can be recalled to the majors at any time, but first the Twins would have to re-add him to the 40-man roster. • Tsuyoshi Nishioka was also sent outright to Triple-A after the Twins initially optioned him to Rochester last week. Nishioka, like Blackburn, is no longer on the 40-man roster after passing through waivers unclaimed and will continue to play at Triple-A. I'm not sure why they avoided dropping Nishioka from the 40-man roster immediately last week or when they first sent him to the minors during spring training, but there's obviously no need to waste a spot on him. • In further 40-man roster housecleaning Rene Tosoni was sent outright to Triple-A to make room for Matt Carson's arrival. Tosoni was once a solid prospect who projected as a potential starting corner outfielder, but he's 26 years old now and has been brutal in the minors for the past two seasons. Not surprisingly he passed through waivers unclaimed, so the Twins were able to retain him in the organization without the 40-man roster spot. • By calling up Carson as a fill-in for the banged-up outfield the Twins showed they'd rather have Chris Parmelee playing in Rochester than collecting dust on the bench in Minnesota again and perhaps don't view him as a viable outfield option defensively. Based on his great Triple-A performance Parmelee is obviously deserving of another opportunity in the majors, but as I wrote last week there's nowhere for to consistently play him barring a trade or injury. Carson is a 31-year-old journeyman who joined the organization in November on a minor-league deal. He previously had brief stints in the majors with the A's in 2009 and 2010, but was never a top prospect and has spent 11 seasons in the minors. Carson hit .277/.339/.447 in 110 games for Rochester, which is both nothing special for a corner outfielder and nearly identical to his career .264/.325/.447 line in 4,649 plate appearances as a minor leaguer. • April elbow surgery knocked Scott Baker out for the year and the Twins will decline his $9.25 million option for next season, making him a free agent. However, with the 2013 rotation wide open and Baker looking for a place to get his career back on track a reunion is possible. Baker is scheduled to begin throwing off a mound in October and indicated to Joe Christensen of the Minneapolis Star Tribune that all things being equal he'd like to remain in Minnesota. • After missing two months with a broken leg Anthony Slama is back to closing out games for Rochester, where he's logged 26 innings with a 0.70 ERA, .183 opponents' batting average, and 44 strikeouts. Slama isn't on the 40-man roster, but as noted above they created multiple new openings and there's no excuse for the Twins not to give a September call-up to the 28-year-old with a 2.25 ERA and 180 strikeouts in 144 innings at Triple-A. • There are 10 pitchers in the Twins' farm system to throw 100 or more innings this year and all 10 have a strikeout rate below 7.0 per nine innings. Blackburn's likely replacement, Liam Hendriks, has the highest strikeout rate among those 10, whiffing 82 batters in 106 innings at Triple-A for a rate of 6.9 per nine innings that's actually below the International League average of 7.4 per nine innings. Pitching to contact still dominates the farm system. • Back in 2003 the Twins moved their Triple-A team from Edmonton of the Pacific Coast League to Rochester of the International League, where they've been since. There were some rumblings that Rochester could try to ditch the Twins when their contract expired after this season, which would have left the Twins scrambling for a new Triple-A home and might have even led to returning to the PCL, but the two sides have agreed to a two-year extension. • Twins rookie-ball catcher Michael Quesada was suspended 50 games for violating the minor league drug prevention and treatment program by testing positive for Methylhexaneamine, a stimulant and dietary supplement. Quesada was a 10th-round draft pick out of Sierra College in 2010, but has hit just .213/.314/.333 with three homers in 62 career games while remaining in rookie-ball as a 22-year-old. • Denard Span injured his shoulder on August 12. Nine days later he remains "day-to-day" and on the active roster despite being unavailable to play for that entire time and finally underwent an MRI exam yesterday. At this point I'm not even sure what to say about the Twins' ongoing pattern of "day-to-day" injuries and disabled list avoidance, other than maybe "sigh." • Only two MLB hitters with more than 375 plate appearances this season have zero homers: Jamey Carroll and Ben Revere. 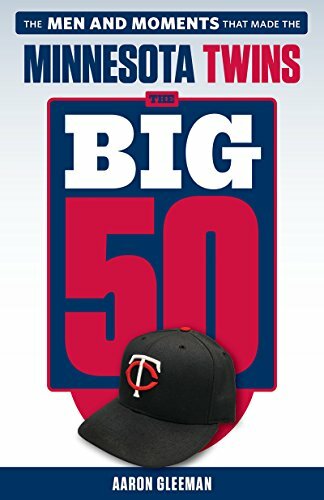 • Four hitters in the Twins' entire organization, majors and minors, have drawn 60 or more walks this season: Joe Mauer, Josh Willingham, Miguel Sano, Aaron Hicks. • Since becoming the primary closer Glen Perkins has converted 7-of-8 save chances with a 2.66 ERA and 24-to-3 strikeout-to-walk ratio in 24 innings. Before that he had two career saves. • For a whole lot more about Blackburn and Hendriks, plus a pretty good puking-in-public story and comparing Sam Deduno to a UFO, check out this week's Gleeman and The Geek episode.